As a VRA member, you are among the most well informed and proactive organisations in the remarketing sector. ADESA UK is an online vehicle remarketing provider for UK OEMs, fleet & leasing companies and dealers. We use a combination of industry expertise and cutting-edge technology to transform the way used vehicles are bought, sold and processed. We offer game changing UPSTREAM solutions to appraise and bring vehicles to market in under 10 minutes, revolutionising the traditional auction process and saving our customers both time and money. ADESA UK is part of the KAR Auction Services group of companies – providing complete end to end solutions in the wholesale remarketing industry. Arval is a leading provider of vehicle funding and fleet management solutions. 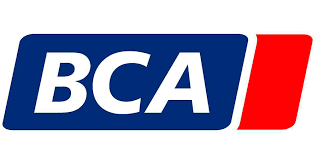 Owned by BNP Paribas, one of the world’s best rated banks, we have more than 45 years of industry experience and lease around 160,000 cars and vans in the UK. Our customers range from small businesses and individuals with a single vehicle to large corporates with thousands. Alongside vehicle funding, we provide a full range of vehicle related products and services including vehicle maintenance, fuel management, accident management, breakdown recovery, short and medium-term hire, insured lease vehicles, telematics, full outsourcing and consultancy services. Selling more than 25,000 vehicles each year, our primary method of remarketing is Motortrade, an online platform for franchise and independent dealers. Aston Barclay is the UK’s leading independent auction group, led by quality people driving the future of the remarketing industry through leading results, innovation, investment, excellence in technology and exceptional service. 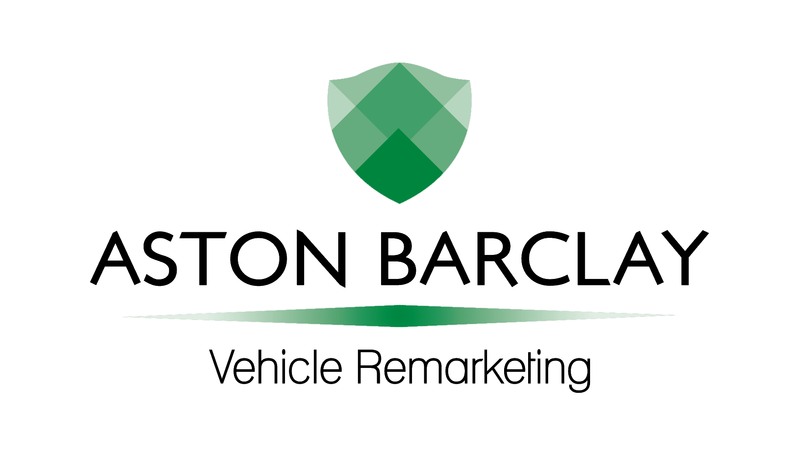 Established for over 35 years and operating from physical remarketing hubs coupled with a dynamic suite of online and mobile platforms, Aston Barclay sells in excess of 115,000 vehicles per year for leading fleets, dealer groups, OEMS, car supermarkets and independent traders. AutoXP delivers a world class customer experience by working in partnership to drive innovation, whilst radically enhancing service through the smart use of technology, and whose corporate philosophy, values and behaviours are specifically tailored to enable autoXP to be the No.1 ‘Go To’ Provider of automotive eXPeriences. A supplier that is big enough to have the stability of supply, but also small enough to bring the ‘human touch’ to any partnership. Our product line up is all encompassing, with future-proof new products available. ​In recent years, autoXP has moved away from just being a provider to the automotive industry to the ‘go to’ specialist in logistics and IT, with a £1m plus investment in technology to date. We make doing business with us easier, smoother and measurably more cost efficient, whether that valeting, cosmetic repair, delivery and collection, premises cleaning or imaging. Our services and resources can be ordered and tracked 24/7 through our state of the art ‘cloud based’ PVMS system, providing total control and complete transparency every step of the way. We’re focused on delivering the best all-round ‘customer experience’ in our industry. With exciting initiatives and pioneering levels of service that have earned us a reputation for excellence and a client base including some of the best known-names in the industry. We work harder and smarter for every client, giving them a significant and measurable edge in an ever-competitive marketplace. Autofutura is a leading specialist provider of global data management software solutions to the leasing, rental, finance and OEM sectors of the automotive industry. We provide intelligent market data and a suite of fully automated software tools designed for new and used vehicle RV forecasting and re-evaluation. Using logical and transparent methodology these address an extensive range of issues and information associated with RV risk analysis and management. Our customers are all at the forefront of the industry and include eight of the top 10 UK leasing companies. Their success is based on making informed strategic decisions in managing the risk on their combined fleet of more than 3 million vehicles. They recognise Autofutura as the right choice to help them make these decisions and manage their business effectively. Auto Trader is the UK and Ireland’s largest digital automotive marketplace. Auto Trader sits at the heart of the UK’s vehicle buying process and its primary activity is to help vehicle retailers compete effectively on the marketplace in order to sell more vehicles, faster. Bringing together the largest and most engaged consumer audience, Auto Trader has over 88% prompted brand awareness and attracts an average of 55 million monthly cross platform visits a month, with circa 70% of visits coming through mobile devices. The marketplace also has the largest pool of vehicle sellers (listing more than 470,000 cars each day). Over 80% of UK automotive retailers advertise on autotrader.co.uk. Specialising in the provision of outsourced services to the insurance and automotive sectors and employing over 1,350 staff, Auxillis offer responsive high quality services 24/7/365 from their contact centre in the North East, with mobility support from its own vehicle fleet of 8,500 vehicles and UK branch network. As part of Redde plc, with annual revenues of over £472.3m and a range of complimentary specialist legal, fleet and claims management services, Auxillis offer unmatched scale, reliability, breadth of services and quality. Auxillis provide a range of motoring assistance services; claims management, replacement vehicle, repair services, personal injury management and insurance products. Our business is to handle the sale of vehicles on behalf of one group of customers – our vendors – and sell to another group – our buyers. Most of our customers are businesses from across the retail and wholesale motor industry. 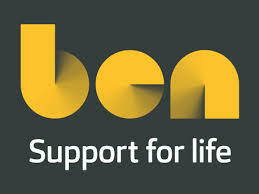 Ben is a not-for-profit organisation that partners with the automotive industry to provide support for life to its people and their families. As an independent charity, our tailored, holistic care and support services enable people to navigate life’s toughest challenges, empowering them to make lasting, positive change. Ben provides information, advice, guidance and managed referrals, where appropriate, to our network of 700 partner organisations, including debt advisors and mental health charities. We may also fund therapeutic interventions, family and relationship counselling, home adaptions, short breaks for families dealing with life-limiting or terminal illness and immediate help for those in crisis. Everyone who works, or has worked, in the automotive industry can access our confidential, free support services for themselves and their family dependents. Our depth of knowledge and holistic approach helps protect the automotive industry’s most valuable asset – its people. Cap hpi is recognised across the industry as the UK’s premier provider of used vehicle values, future residual values, provenance and vehicle data. With the most comprehensive and accurate data sets available, cap hpi helps auction buyers and sellers get the right information they need to make the most profitable decisions and protect their reputation. Both cap values and the hpi check are unique to cap hpi and well known to auction goers, supporting both mainstream and specialist auction centres and remarketers. Cazana was formed in 2012 and has grown over the years in the consumer space with a vehicle stock search and provenance check site that currently holds in the largest volume of cars for sale in one place with in excess of 730,000 individual vehicles for sale in the UK at any one time. In 2017 the company moved into the Automotive sector to provide a range of data science based vehicle valuation, forecast and market intelligence offerings for the business to business customer. Based on truly live retail driven data updated daily and focussed on in excess of 11 million data points a year there is no better source of up to the minute impartial market valuation and insight. CD Auction Group has 25 years of experience of remarketing and managing vehicles for many of the UK’s leading organisations. With clients from the rental and leasing sector as well as large and small corporations our success in online remarketing of used vehicles has enabled us to develop long term relationships with both our clients and buyers. We provide a complete vehicle logistics service, on site bodyshop and valeting facilities. We were recently acquired by Arctos Holding, The Arctos Group portfolio includes SMH Fleet Solutions. Most recently Hudson Kapel was rebranded to CD Salvage Auction, giving us operational control of the UK’s leading remarketer of salvage and nearly new damaged vehicles. CDL is highly regarded as an independent, financially stable and trusted partner. We work closely with customers to ensure our technologies match their needs and support highly efficient retail operations. We have established our position as a market leader in the highly competitive retail insurance sector by consistently creating powerful software solutions that deliver competitive and innovative advantage to our customers. We consistently anticipate market trends that have changed the face of insurance retail, developing technologies that enable our customers to capitalise on them. From price comparison sites to online self-service and telematics-based insurance products to the connected home. It is this approach that has led to an unrivalled track record in working with industry leading retailers. Copart UK was established in 2007 and sells more than 300,000 vehicles each year through online auctions for a variety of customers including finance companies, banks, dealers, fleets, rental car companies and the insurance industry; as well as franchised, independent and wholesale motor traders. Members can choose salvage and non-salvage vehicles including agricultural and plant, HGVs, commercial vehicles, motorcycles and more; with thousands of vehicles available to bid on each day. Copart was founded in the USA in 1982; and has locations throughout Asia, North and South America, the Middle East and Europe, including 16 locations across the UK. Cox Automotive is the world’s largest automotive service organisation, providing solutions to its clients at every stage of the vehicle lifecycle. Cox Automotive help dealers, manufacturers, fleet and leasing companies boost the value of their assets to improve performance and profitability. In the UK, Cox Automotive provides stock, marketing sales and service solutions to customers including franchised and independent dealers, car supermarkets, vehicle manufacturers and fleet and leasing companies. Cox Automotive brands in the UK include Manheim, Dealer Auction, Movex, RMS, NextGear Capital, Motors.co.uk, Modix, wewantanycar.com and money4yourmotors.com. The group employs more than 2,300 team members in the UK and works with thousands of businesses throughout the automotive industry. For more information, visit www.coxauto.co.uk. DMN Logistics offer a class leading independent solution to the fleet industry for all its logistics, storage and Inspection requirements. At the heart of the operation is a real time cloud-based system that allows the client to have total visibility of data, this allows the decision process to operate in advance of vehicles been physical at defleet or remarketing locations, so ensuring minimum vehicle downtime or preparation prior to fleet reallocation or disposal. Our services include: Single & Bulk Vehicle Transport, Inspection, Covered Transport, Fleet Re-allocation, Storage Vehicle Preparation, Car, LCV, HGV. epyx specialises in creating technology solutions for the automotive sector. Dynamic solutions delivered through the 1link portfolio of platforms empower you to manage all of the activities involved in sourcing, e-procurement and transaction processing for the automotive sector. The 1link platforms cover vehicle acquisition, service and maintenance, daily rental, relicensing and vehicle disposal, thereby covering the critical stages in the typical lifecycle of a fleet vehicle. 1link seamlessly connects everyone involved in the supply chain – the fleet, the driver and the supplier, ensuring that transactions are completed quickly, efficiently, at a low cost and with a degree of managerial precision that would otherwise be impossible. The Europcar UK vehicle fleet peaks at 60,000+ cars and vans available from its network of over 250 locations. Working with key manufacturers, Europcar offers flexible rental solutions including long-term vehicle hire at a fixed rate, delivery and collection, corporate loyalty programmes as well as a range of payment options. Fleet managers have access to a wide choice of ‘business ready’ vehicles with blue tooth and sat nav. And the newest models, hybrids and electric vehicles deliver lower fuel costs as a result of more efficient engines, supporting duty of care responsibilities and addressing environmental concerns. The Fleet Auction Group Ltd is an independent vehicle auction and remarketing group operating from purpose built locations across the country as Protruck Auctions Ltd. We run dedicated auction programmes for passenger cars, wheelchair accessible vehicles, light and heavy commercial Vehicles, plant and machinery. Our results-driven philosophy ensures that the fleets we partner achieve consistently high residual values, high conversion rates and it’s all backed up by accurate reporting and ‘good old fashioned’ customer service. In addition, at our head office location in Leicestershire, we offer full defleet facilities including, inspection and collection, refurbishment and some innovative routes to market that will complement your existing strategy. Our ethical trading stance also ensures onward traceability and accountability for every vehicle sold, which is paramount in today’s security conscious world. Forde Recruitment is an independent recruitment agency based in the heart of the country operating all over the UK. Established in 1991, we were conceived with a simple aim - to provide cost effective, reliable and efficient recruitment solutions for businesses throughout the UK. We have been specialising in the supply of drivers, inspectors, technicians and more for more than 25 years, and it is this experience that allows us to have developed a deep understanding of the requirements within the vehicle remarketing sector. We endeavour to continue supplying our clients with the high calibre of staff they require to keep their businesses thriving! G3 is a leading UK vehicle remarketing provider with an auction hall in Leeds and simultaneously online. 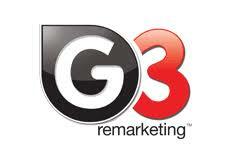 Established in 2009, G3 has grown to one of the largest independent vehicle remarketing marketplaces. Their success is driven by a culture of fairness and outstanding customer service, for both vendors and buyers. They dispose of vehicles direct from fleet companies, finance houses and dealerships. With over sixty years’ experience within the automotive industry and a growing database of 15,000 buyers they aim source the best vehicles from carefully selected partners. G3 Remarketing trades thousands of vehicles every month from Alfa's to Zonda's. Gain Solutions has over two decades worth of experience in providing fleet management solutions. With an outstanding reputation in the motoring industry we work in partnership with vehicle manufacturers, auction houses, lease, contract hire and daily rental companies. What sets us apart from our competitors is the flexibility in our services to offer our clients a tailored, bespoke service delivering fast decision making, pro-activity and a human touch. Our knowledge in the industry is vast and we fully understand all aspects of the management of captive, external and hire fleets, vehicle appraisals, refurbishment technologies, logistics and dealership processes. GEFCO provides a suite of solutions integrating the whole supply chain from end of line at production facilities and throughout the vehicle life to optimise customer profitability and service quality. Services are delivered to production standards through a national network of Technical Centres and are underpinned by teams of highly skilled technicians using the latest equipment. Activities include - Pre-carriage by road, rail and sea to destination country, Vehicle storage, inspection and facility management, New vehicle preparation solutions (exterior protection removal, valeting, accessories and livery fitment), Vehicle pre-delivery preparation and repair solutions (PDI, warranty, SMART repairs, bodyshop), Whole life solutions including refurbishment and disposal, Demonstrator fleet and lease fleet management services. Geldards is a leading full service regional law firm providing high quality legal advice to private and public companies, public bodies and government agencies as well as private individuals. In the Automotive sector, it has over 20 years of experience as principal legal advisorts to major motor vehicle retailers, manufacturers and their supply network including the likes of Pendragon PLC, PSA Peugeot Citroen, Toyota Manufacturing (UK), TC Harrison, Motorpoint and Pentagon. Our team of automotive specialist are nationally recognised leaders in their field offering technical expertise, commercially pragmatic advice and “an excellent overall level of service across the board” (Chambers & Partners UK). Glass’s, as part of Autovista Group, is the largest vehicle data providers in Europe. We deliver data, products and insights that help our customers make the best decisions at every stage of a vehicle's lifecycle. Our portfolio includes key valuation, specification and service, maintenance and repair data and products, covering cars, commercial vehicles, motorcycles and caravans. As one of the leading franchised retailer groups in the UK, partnering many of the worlds best brands including, Audi, BMW, Mercedes-Benz and many more, we’re passionate about ensuring our customers come first, every time. We aim to deliver an outstanding customer experience at every one of our franchised dealerships, and to support this all our centres have specialist, manufacturer trained staff to ensure you and your car receive the best possible attention. For nearly 20 years now we have been focused purely on the automotive industry which has paved the way for us to be one of the leading vehicle distribution and retailing companies in the world today. We have been providing systems, data, solutions and expertise to clients in the automotive sector since 2000. Our industry experienced team are passionate about delivering best of breed products and services, which are trusted by vehicle manufacturers, leasing providers, retailers, investors and funders for their accuracy and integrity. We help our customers build sophisticated software solutions and websites that deliver engaging and informative user experiences, using accurate data sourced directly from vehicle manufacturers in conjunction with our industry leading forecast data. Our software solutions are considered by many to be best of breed and are widely used by a client base that includes many of the industry’s leading brands. Manheim, part of Cox Automotive, is a global, family owned business and a leading UK provider of integrated products and services for the vehicle remarketing sector. Manheim creates optimised marketplaces and delivers innovative remarketing solutions - so vendors get faster returns and buyers achieve higher margins. With nearly 100 years’ experience, Manheim have already improved and transformed every stage of the vehicle lifestyle. Manheim connects more of the vehicle remarketing chain, from transport and inspection, to reconditioning and auctioning, and is a complete destination for automotive innovation and thought leadership. Motability Operations Ltd delivers the Motability Scheme to over 600,000 disabled people across the UK, running one of the largest car fleets in Europe and working with a network of c.5,000 dealers and all the major car manufacturers. We currently sell over 200,000 cars into the used-car market each year. Our ability to optimise the market value of our used vehicles as they are returned is a core competency and fundamental to delivering affordability and stability in lease prices for customers. To achieve this we operate an online trade sales channel ‘mfldirect’, through which we sell to a buying base of over 3,200 dealers. Vehicles are also sold through our national auction programme. The National Franchised Dealers Association (NFDA) represents franchised car and commercial vehicle dealers in the UK. Our role is to lobby, represent and support our members. We deal with a number of issues that impact dealers on a day to day basis, including the relationships with manufacturers, advising on legislation and various aspects of dealers’ businesses such as used cars, finance and insurance, and aftersales. The NFDA produce a number of industry reports including the Dealer Attitude and Consumer Attitude Surveys. There are approximately 4,900 franchised dealers in the UK representing some 40 brands and employing around 200,000 individuals. The first Sytner dealership was located in Nottingham and it took just two years to be awarded the BMW franchise for Nottingham. After spending many years working exclusively with BMW, the decision was made to diversify the Group to represent other prestige marques and by 1997 the dealership count had reached double figures; including such brands as Ferrari, Audi and Mercedes-Benz. By 2002, the business had continued to rapidly grow, joining the Penske Automotive Group later that year. 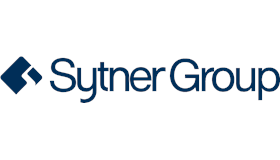 Today, Sytner Group is the UK's largest motor dealer by revenue and despite our growth and increasing scale, we are proud to still retain a strong family ‘Sytner’ culture across all of our dealerships. With over 20 years of automotive reconditioning experience, Trim Perfect specialises in high quality mobile repairs. We ensure any damage is fully repaired and no one will ever be able to tell. Stains, rips, burns or general wear and tear that can decrease a vehicles resale value, we can sort out. We specialise in car interior, car exterior and windscreen stone chip repairs. A bonus to choosing us to repair your vehicle is that we are mobile – this means we can work our magic whenever and wherever is convenient for you.